It is cold, but I like it! In the morning the quicksilver is showing about -12 degrees Celsius in Freiburg. To that you should add another -5 degrees Celsius and you will have the morning temperature for Black forest. When the sun is rising the quicksilver is falling down a few more degrees. That is how it is, for a few moments as the sun is rising it is getting colder until the sun starts to warm up the air a little bit. The sun is already quite powerful. Well, no wonder we already have February. The last couple of days I have really been enjoying great skiing tracks. I have now done the whole http://www.fernskiwanderweg.de track. It is a 100km long track from Schonach to Belchen. We did not do it in one single day, we split it up in 3 stages. Yesterday the last stage from Notschrei to Belchen was done. Our friend and my colleague Uwe Hardter joined us on this last part. He really made me suffer as we were kind of racing up the last long climb on our way back to Notschrei. My arms were really at their limit, since my skis had no super grip anymore. Such a good feeling to be on the top as your whole body was dead tired. 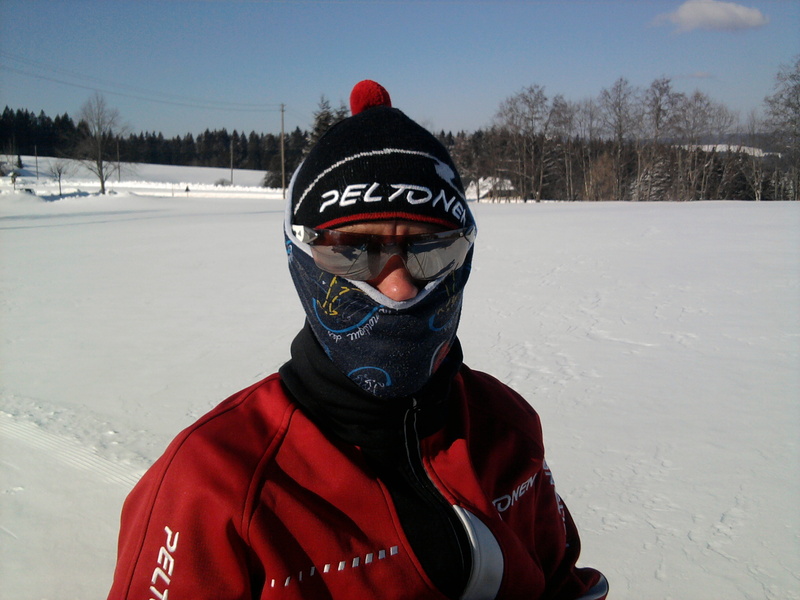 Today we spent again some hours on the skiing tracks in Thurner-Hinterzarten-Titisee-Waldau area. If I can trust the weather forecast it should stay cold. I hope so! Still 700km to go until I have reached my 2000km mark.